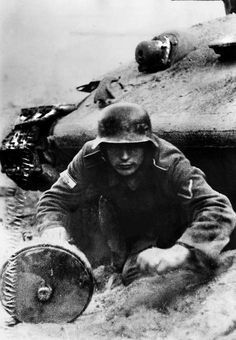 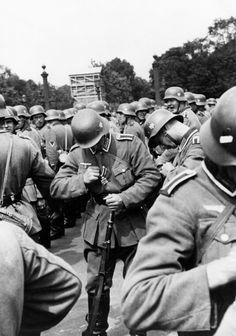 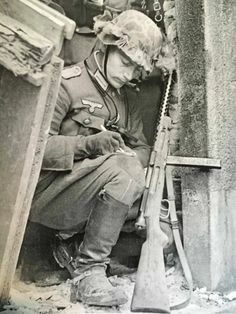 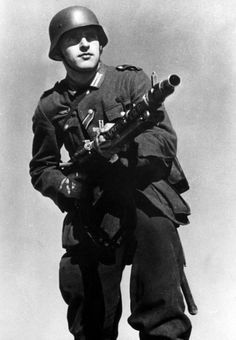 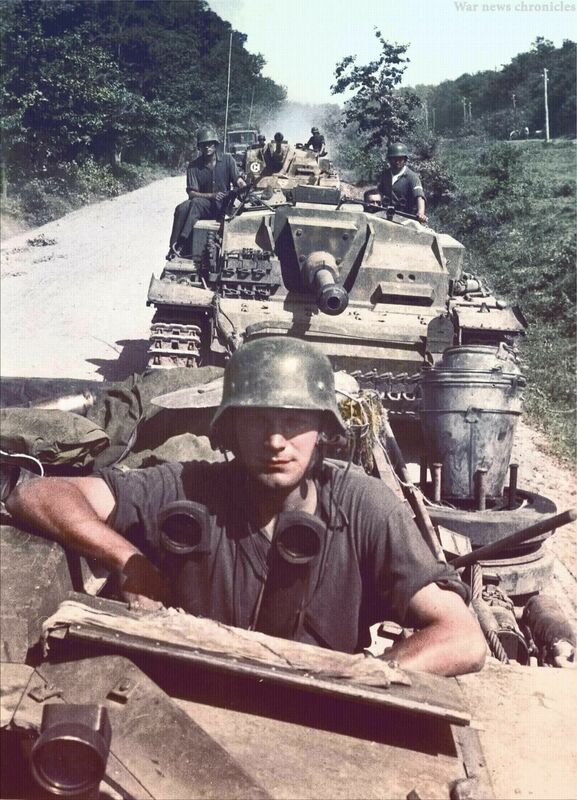 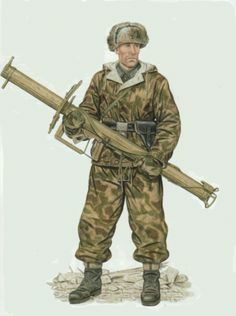 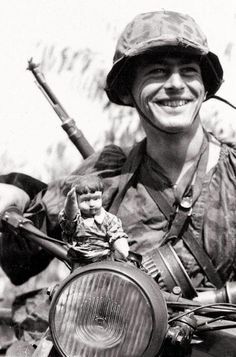 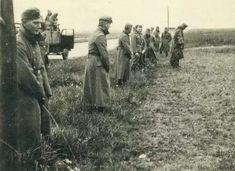 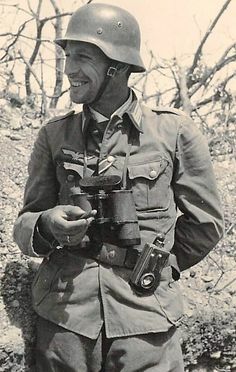 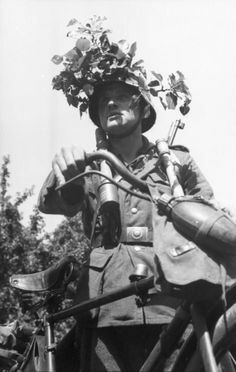 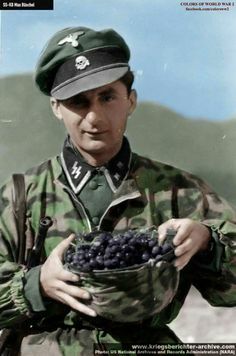 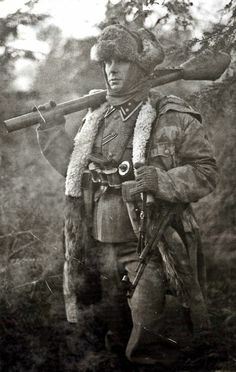 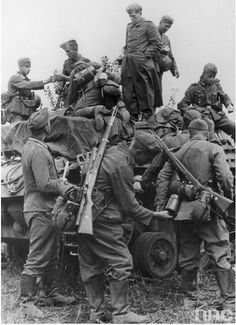 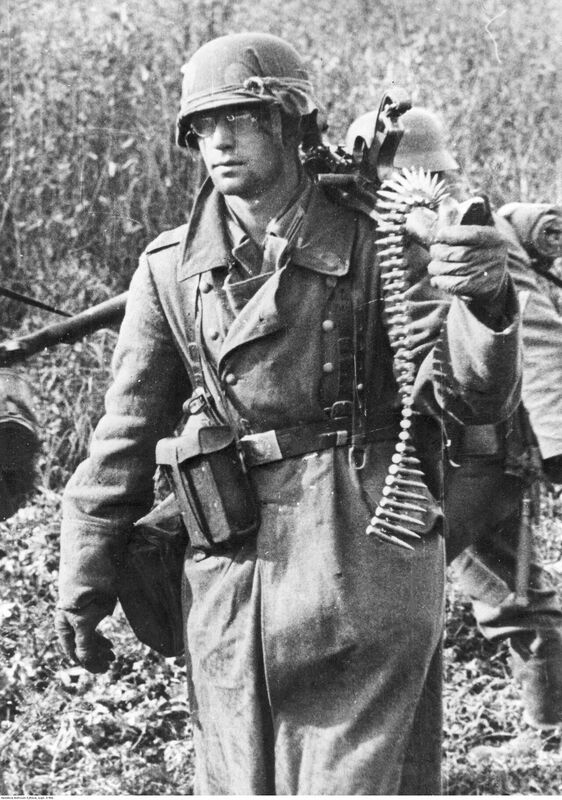 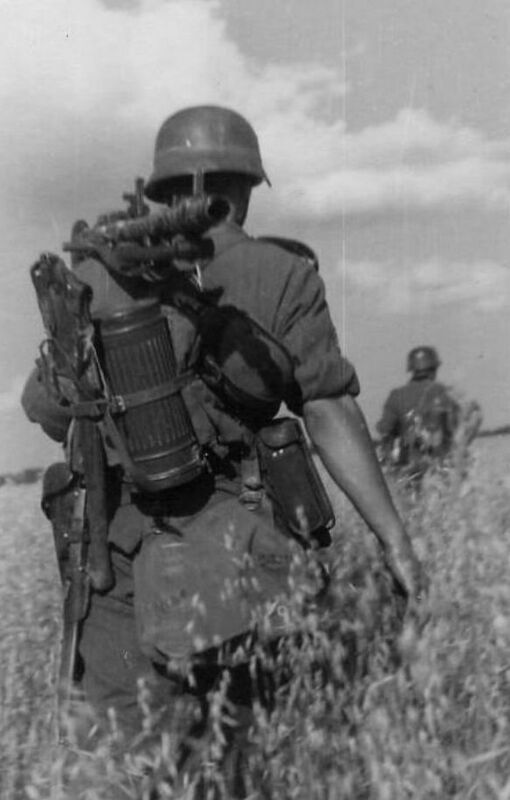 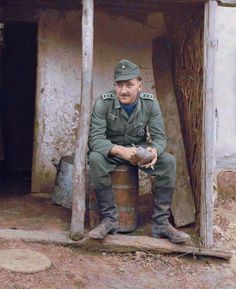 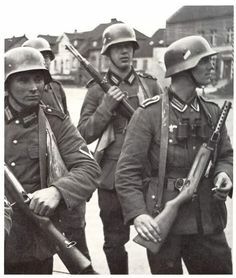 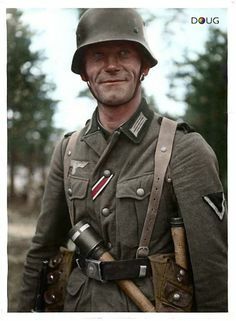 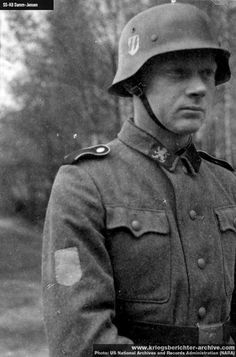 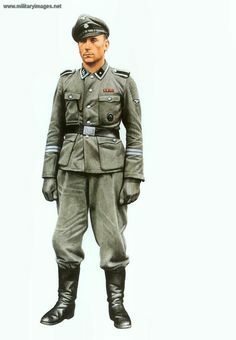 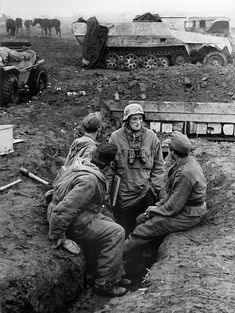 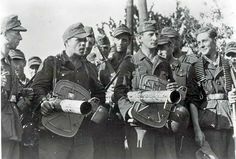 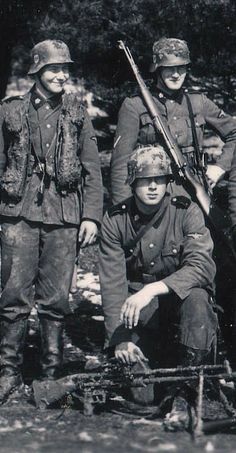 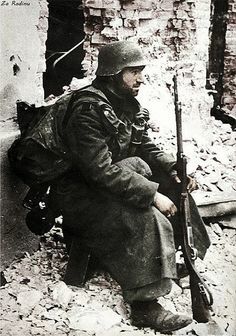 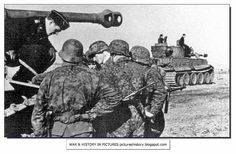 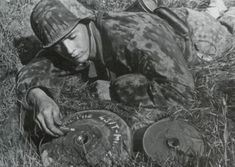 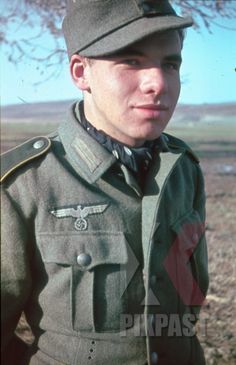 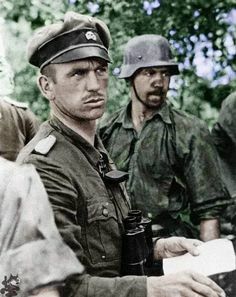 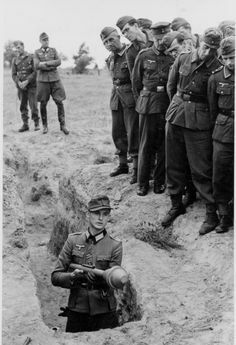 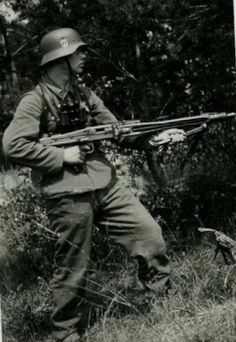 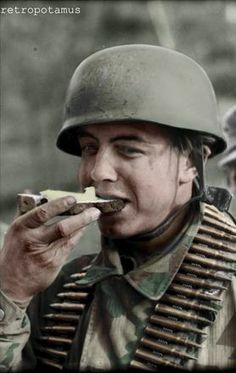 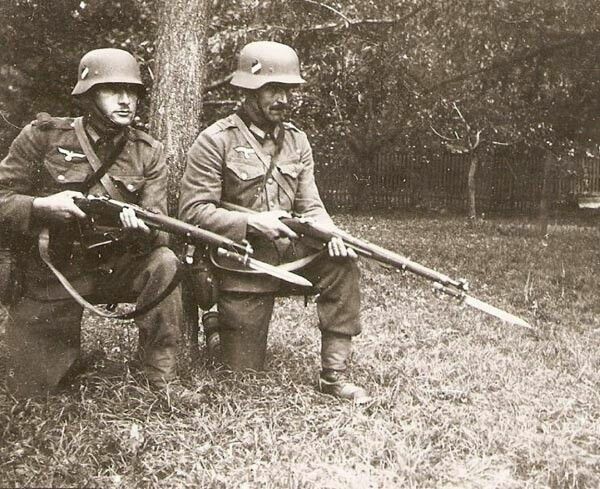 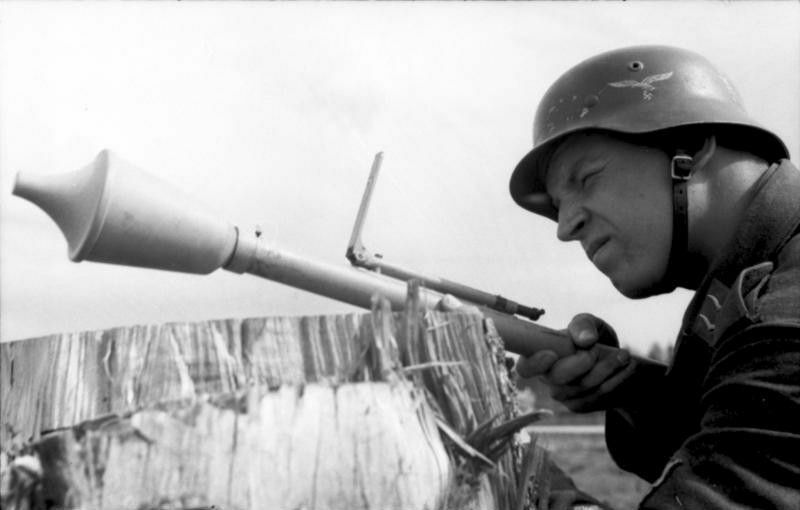 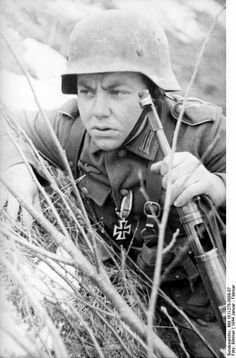 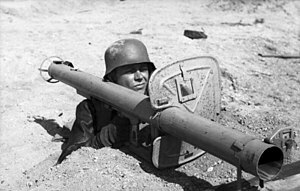 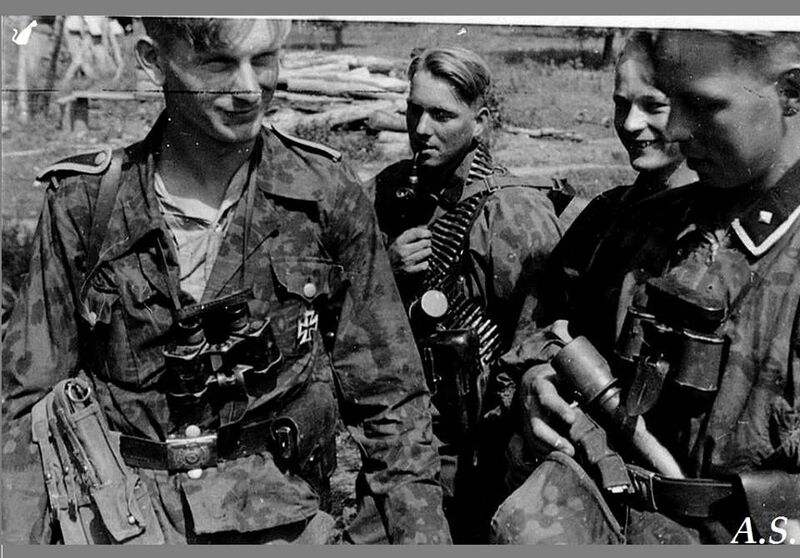 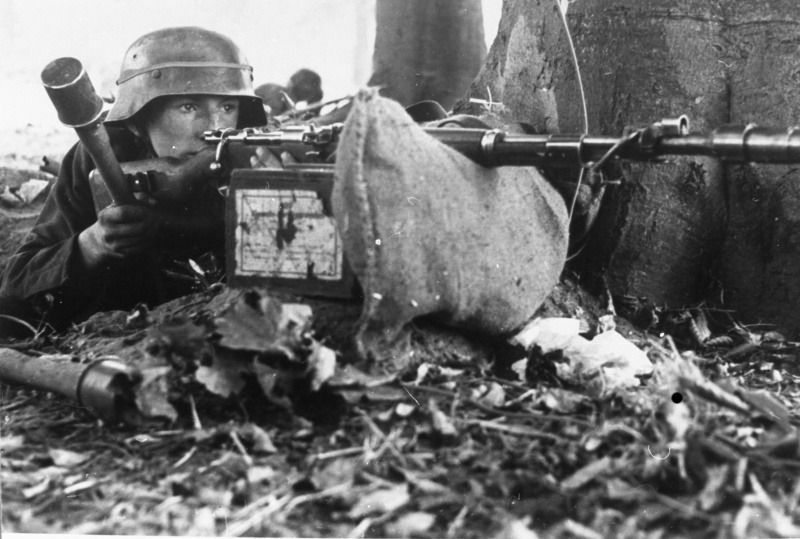 Bundesarchiv Bild 101I-671-7483-29, Reichsgebiet, Soldat mit Panzerabwehrwaffe. 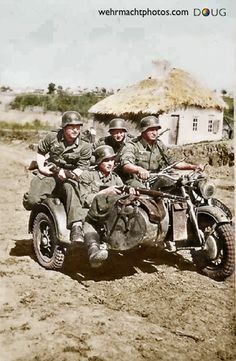 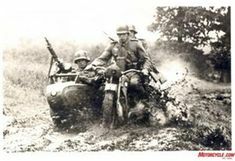 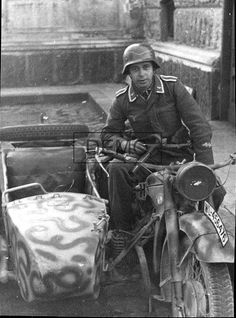 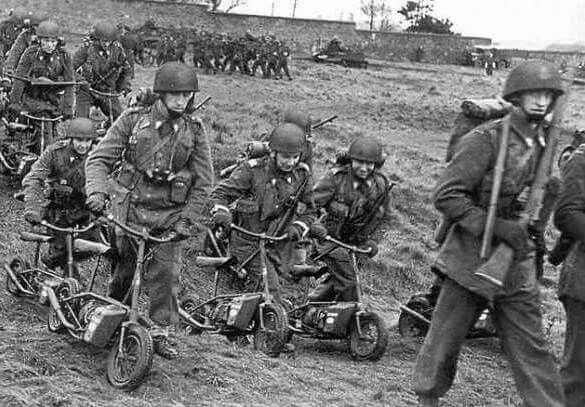 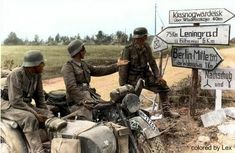 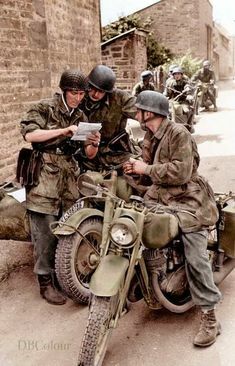 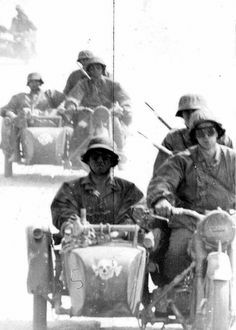 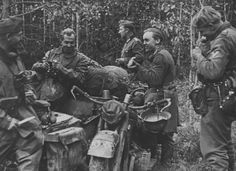 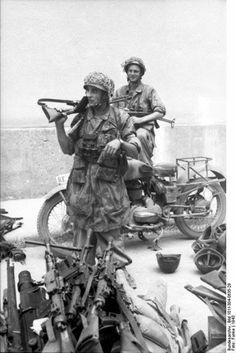 Axis Motorcycles & Bicycles: German Wehrmacht troops aboard their Zündapp KS 750 with sidecar. 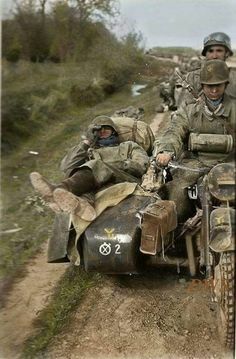 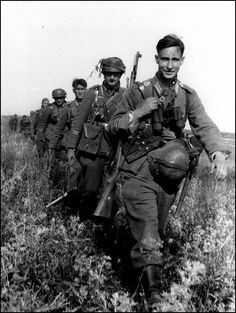 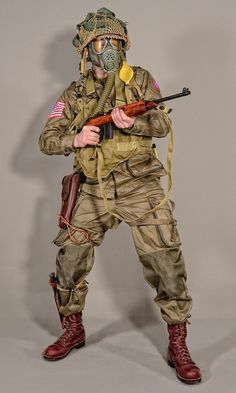 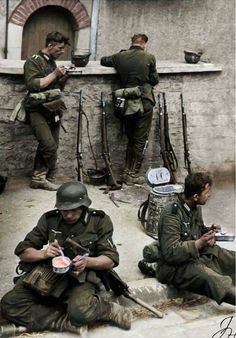 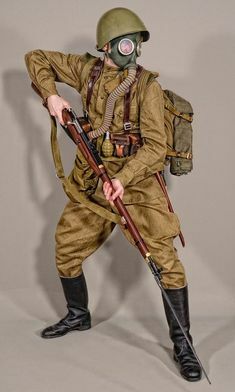 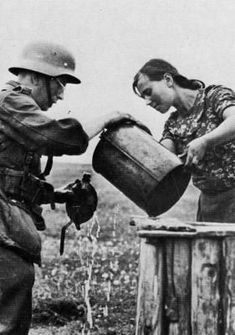 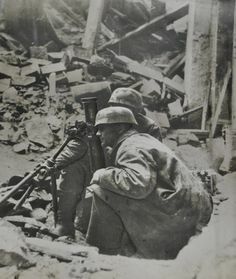 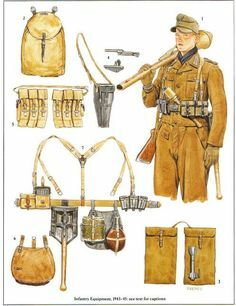 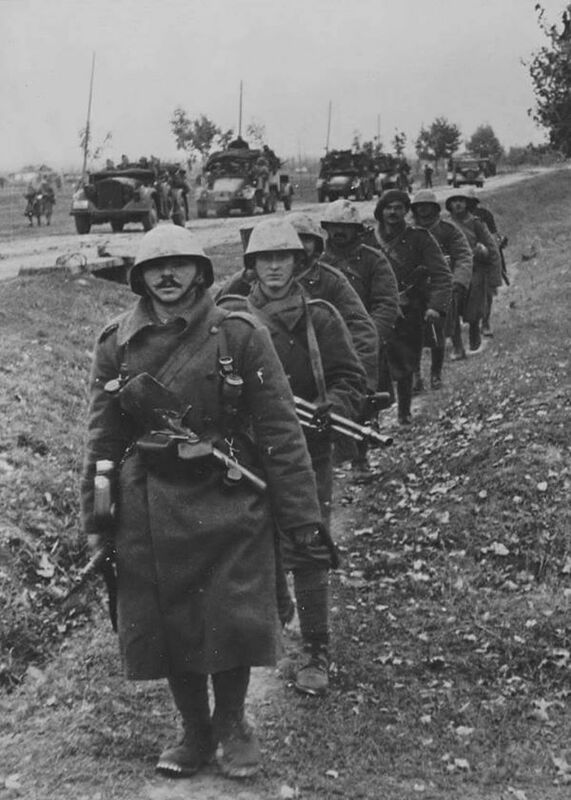 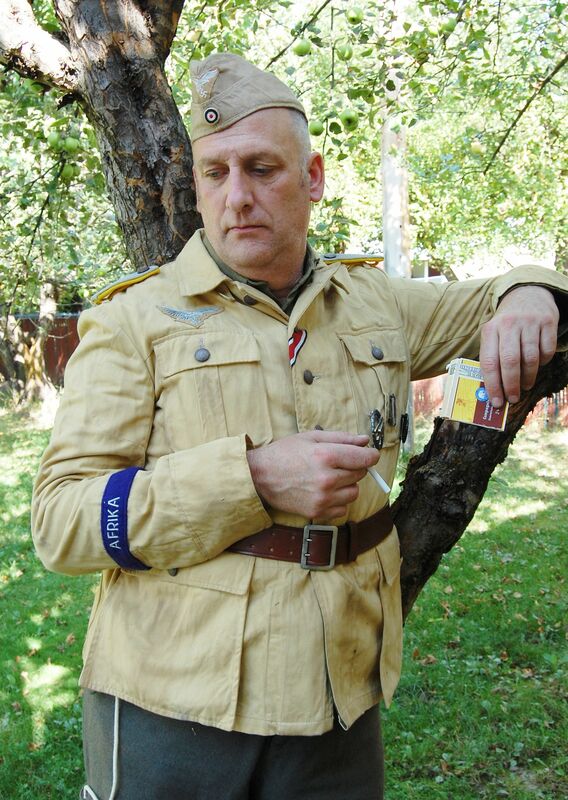 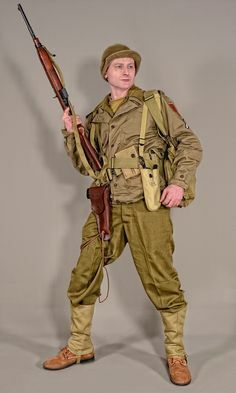 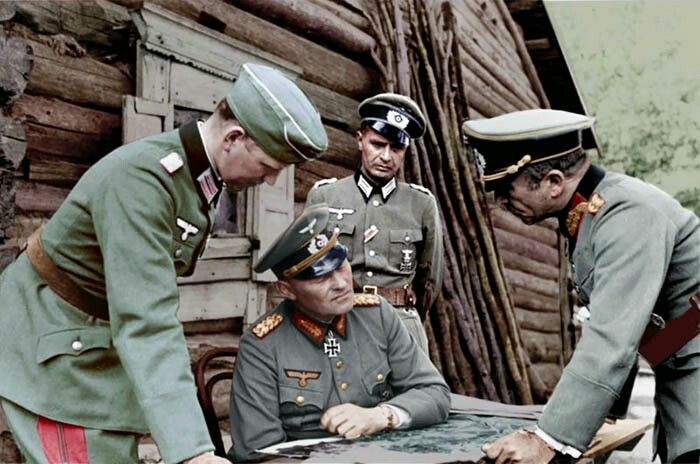 This photo is probably posed somewhere on the Eastern Front. 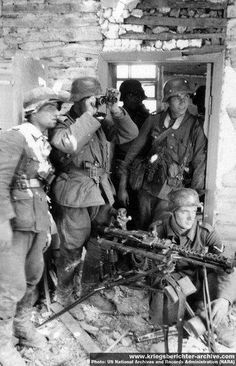 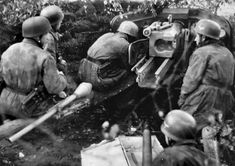 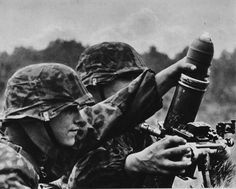 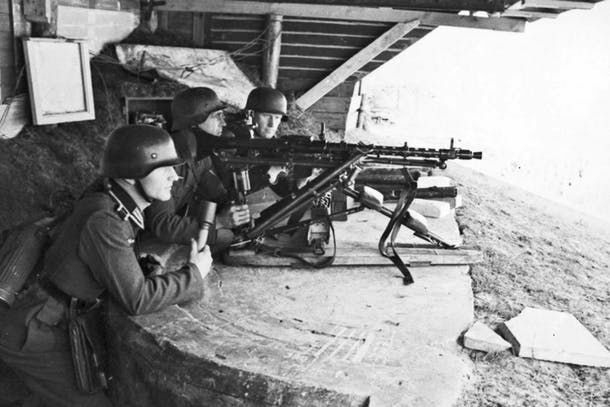 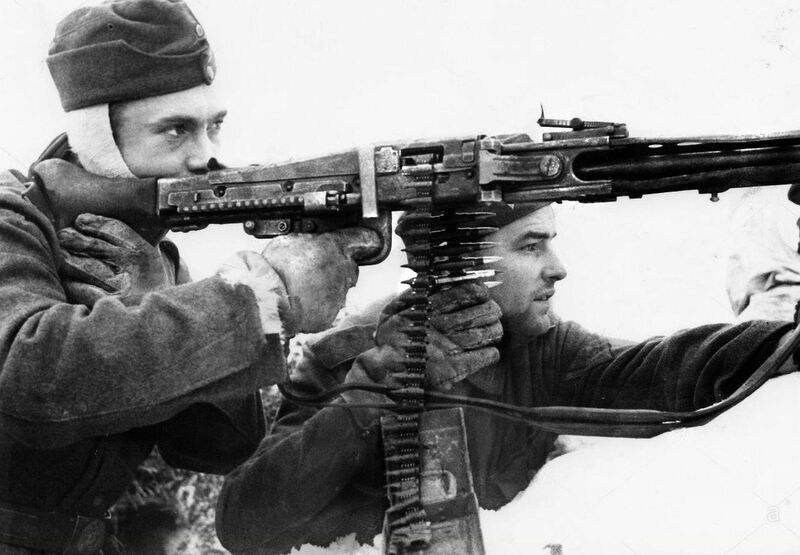 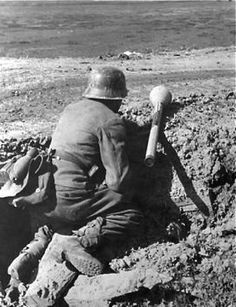 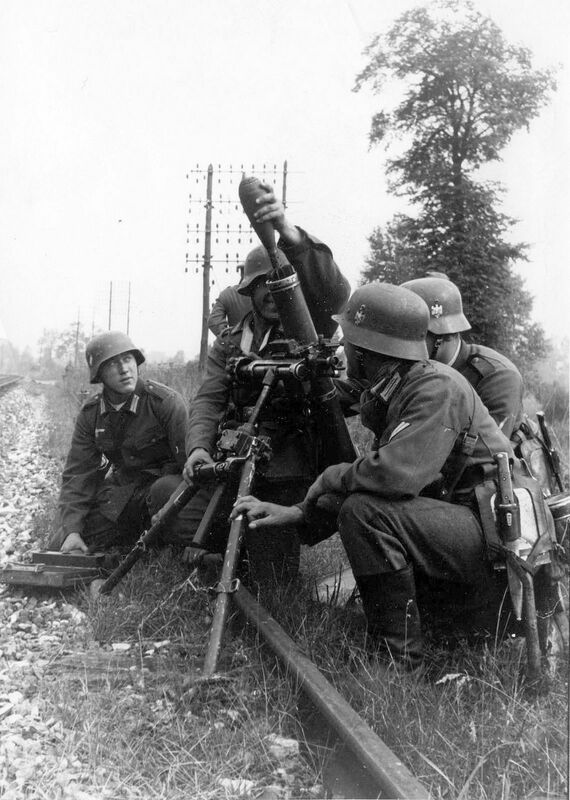 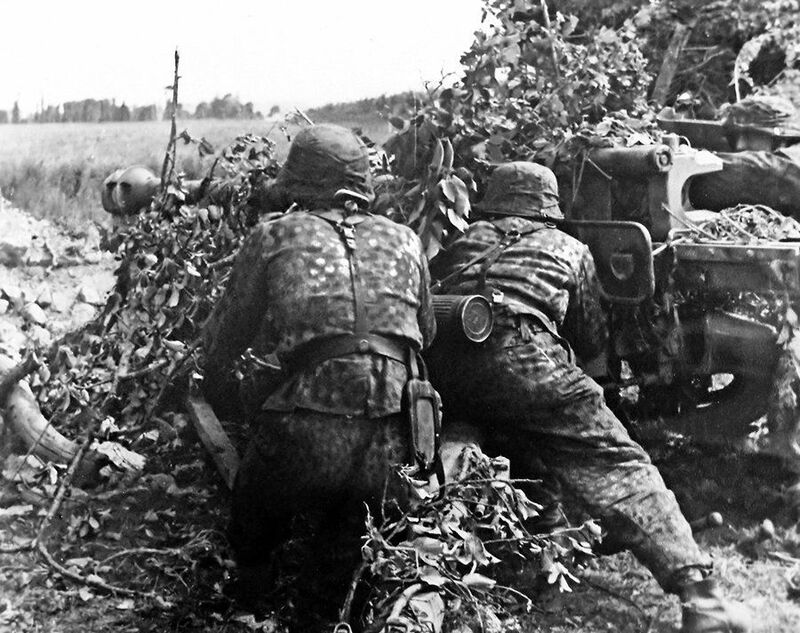 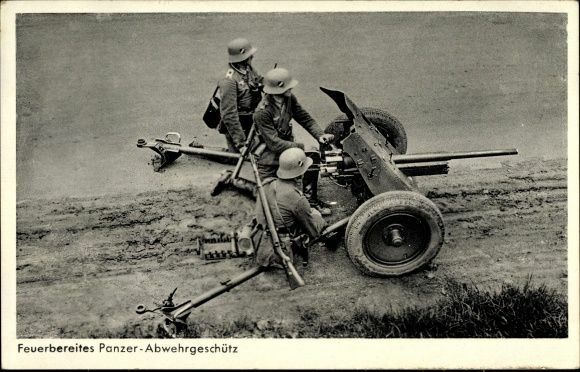 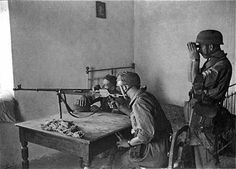 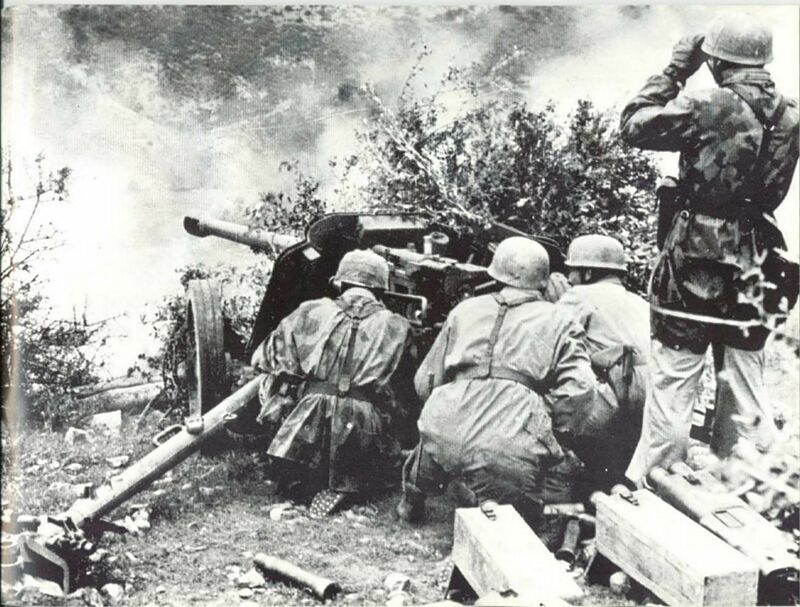 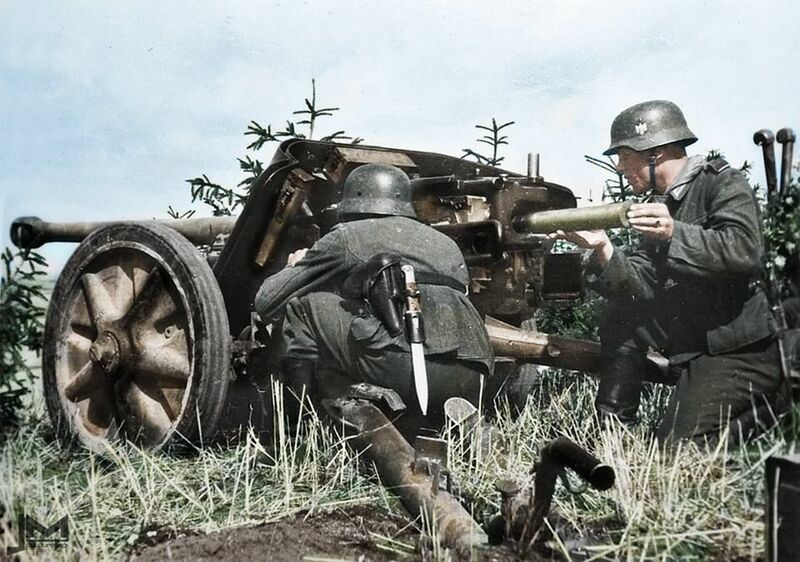 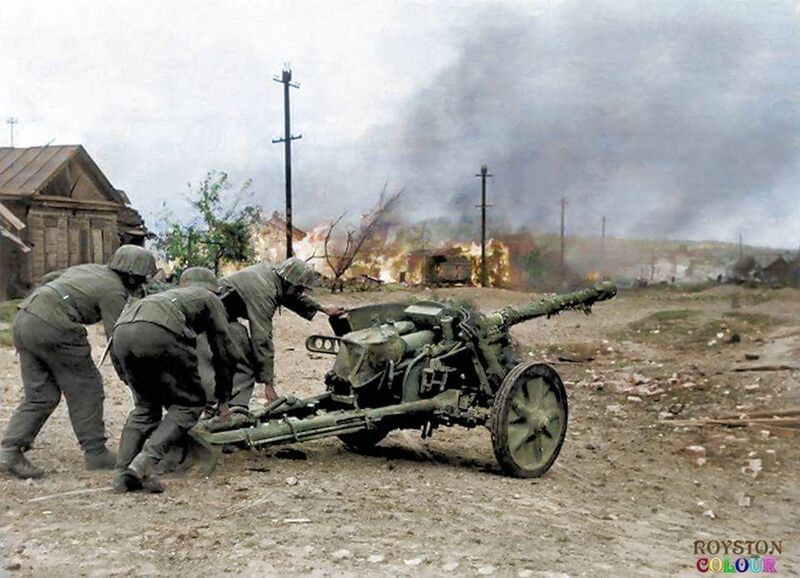 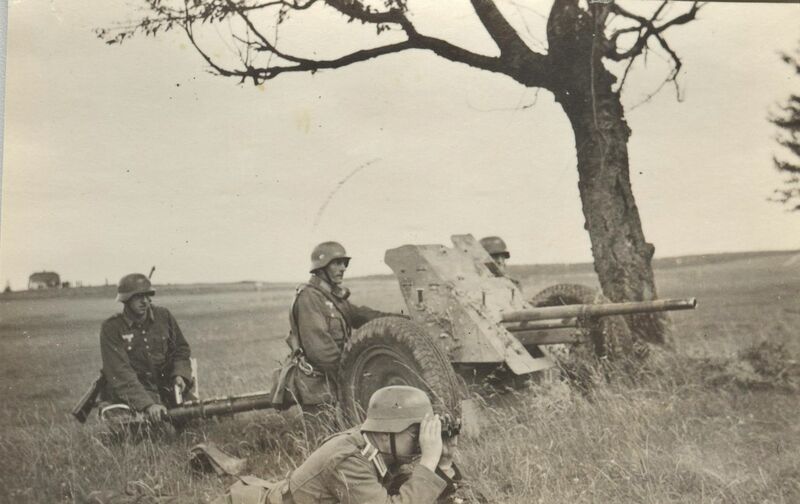 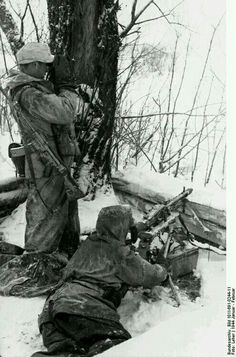 German paratroopers fighting as infantry defend their position with a PaK 38 anti-tank gun somewhere in Italy, 1944. 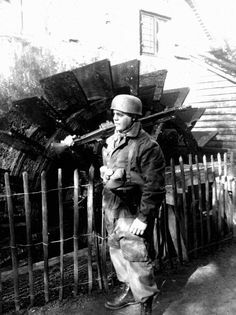 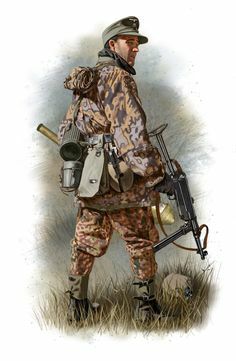 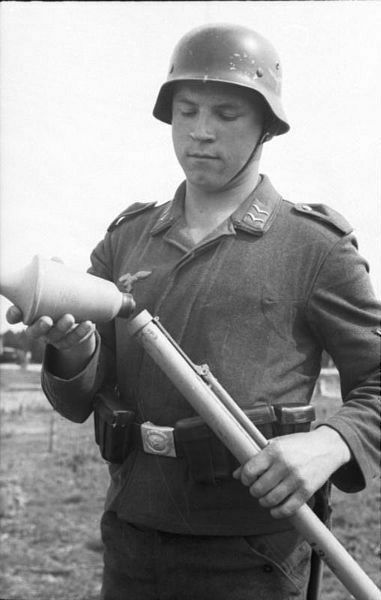 Panzerabwehrwaffe (Anti-tank weapon) A luftwaffe Corporal with a Faustpatrone 30 M.
17.Luftwaffe Field Division Normandy ,17.Aug.1944. 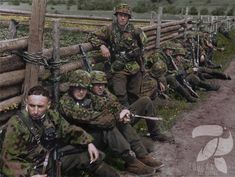 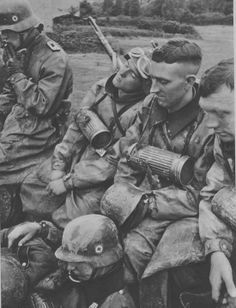 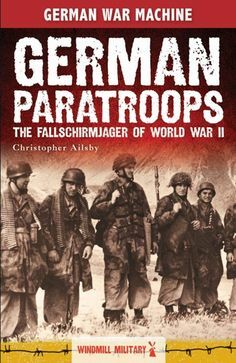 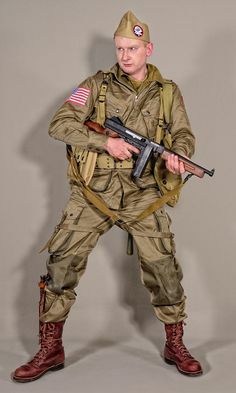 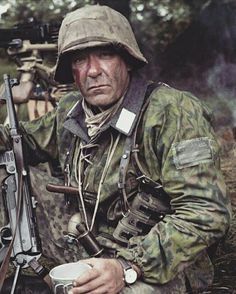 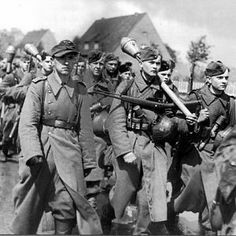 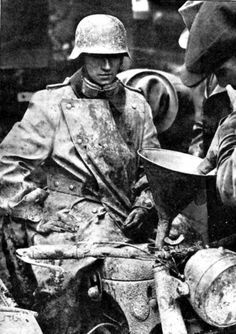 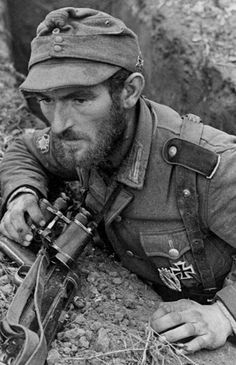 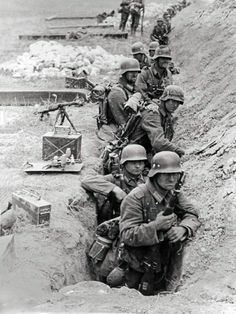 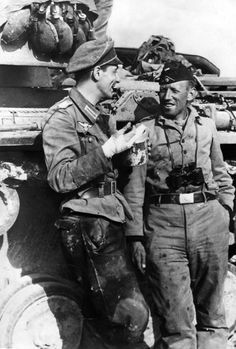 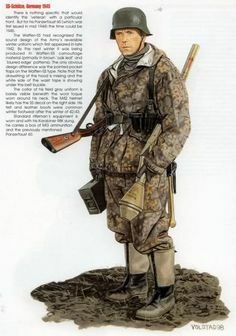 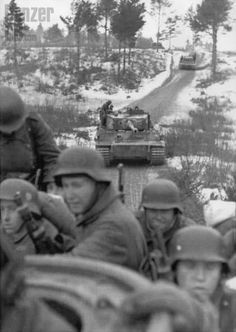 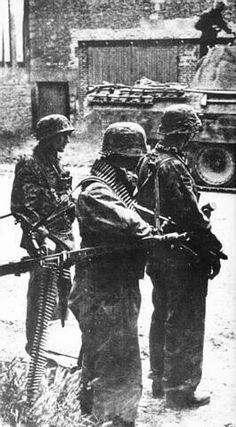 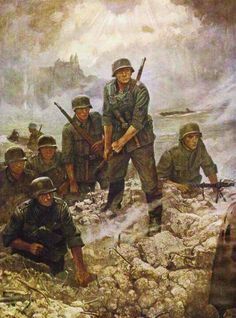 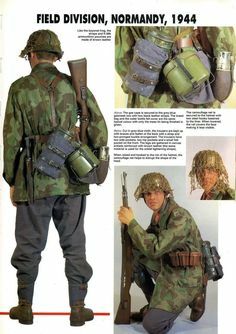 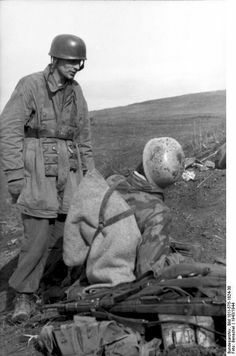 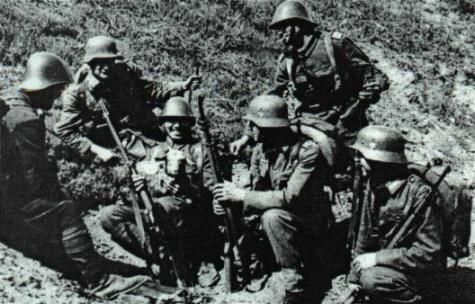 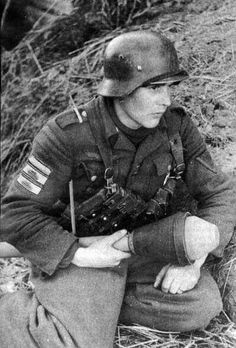 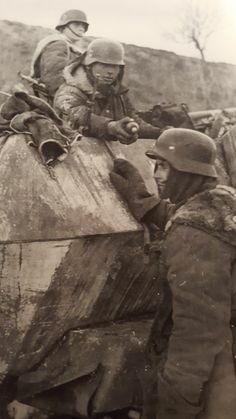 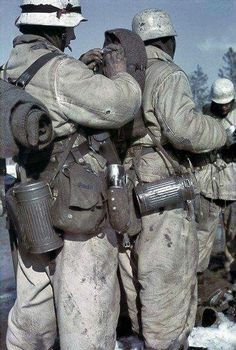 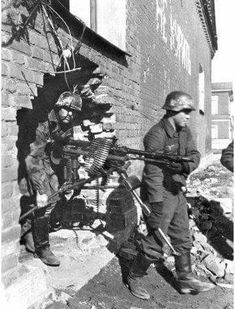 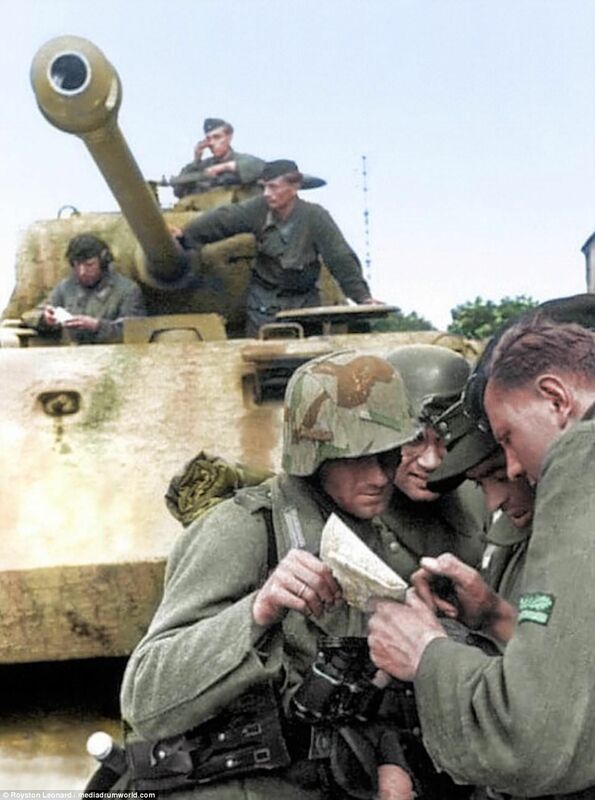 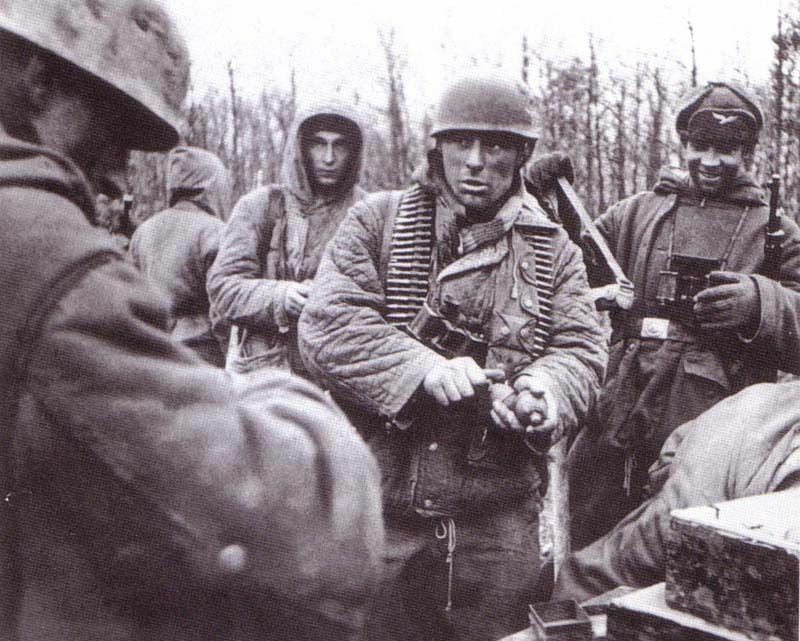 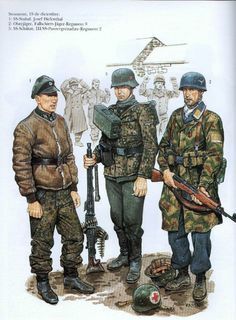 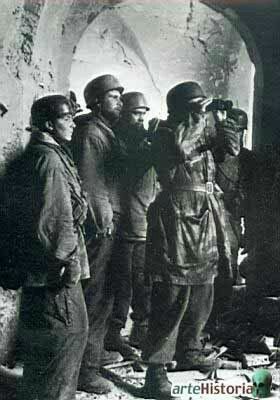 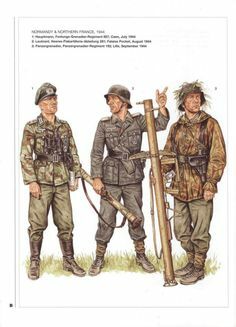 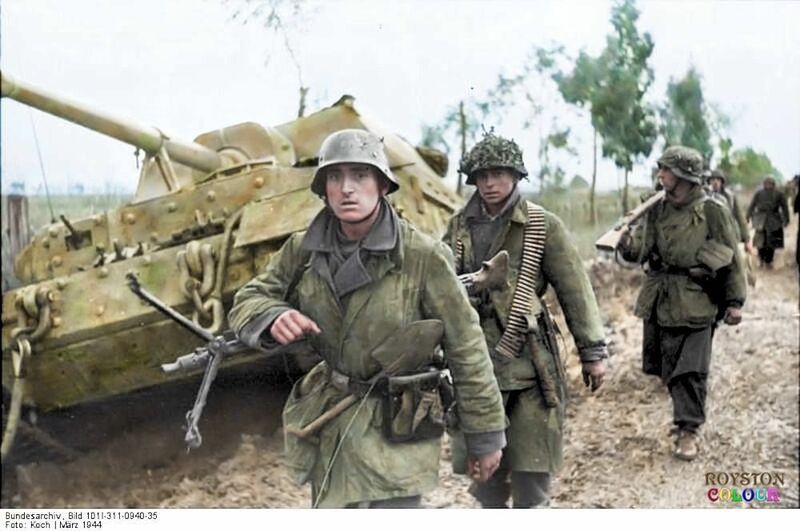 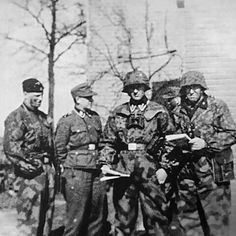 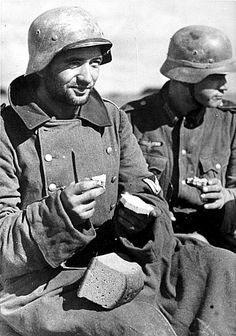 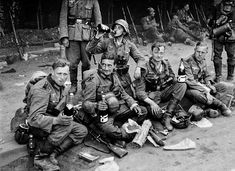 battle of berlin fallschirmjäger from the 9th. 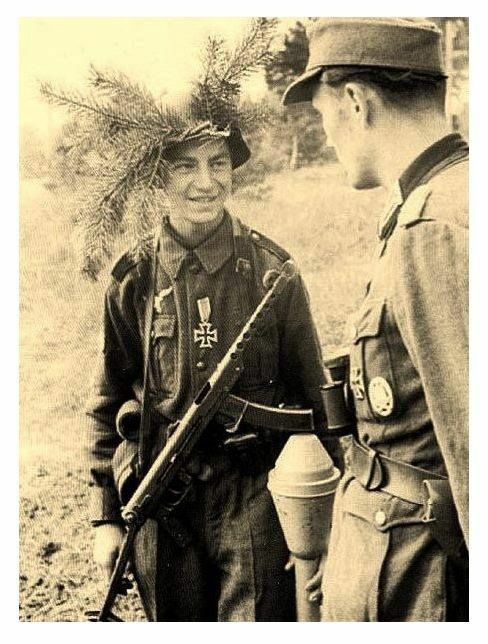 Destroyed.